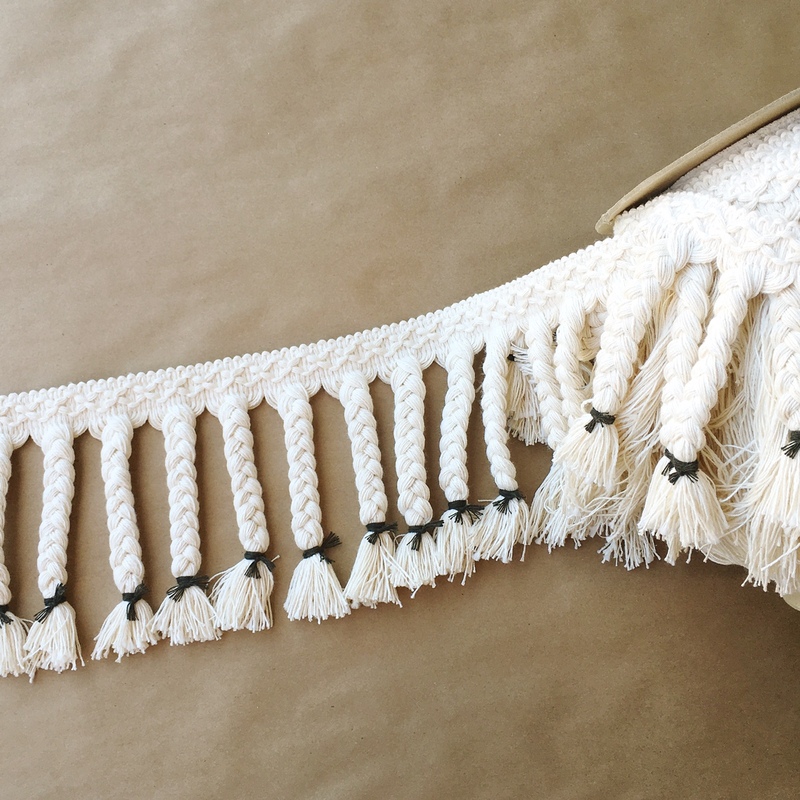 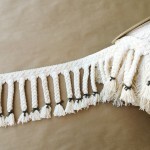 This fringe is beautifully hand braided and tied with color accents around the neck. 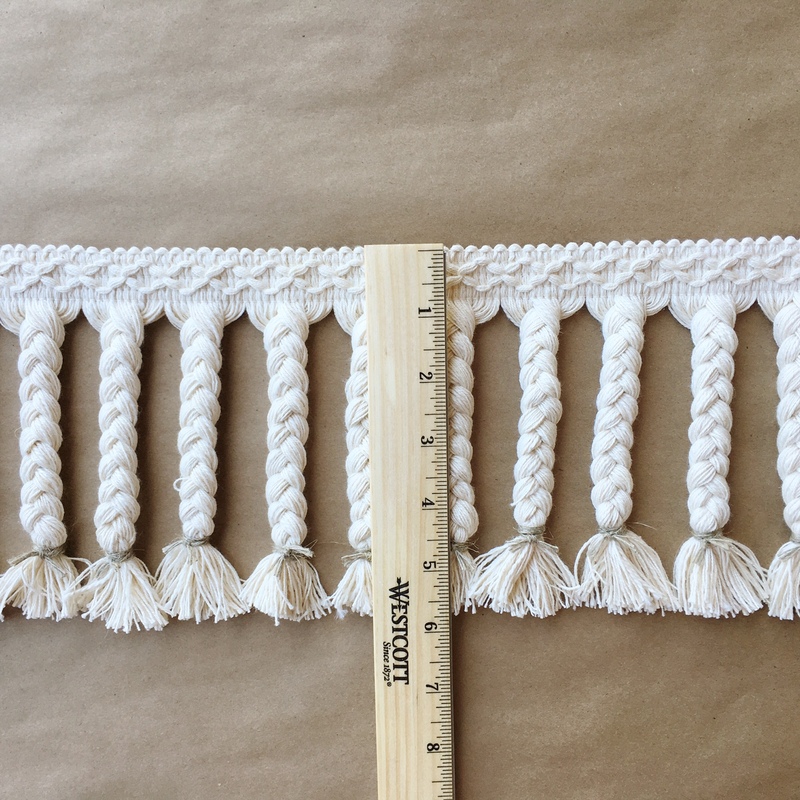 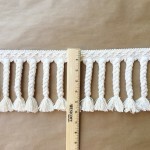 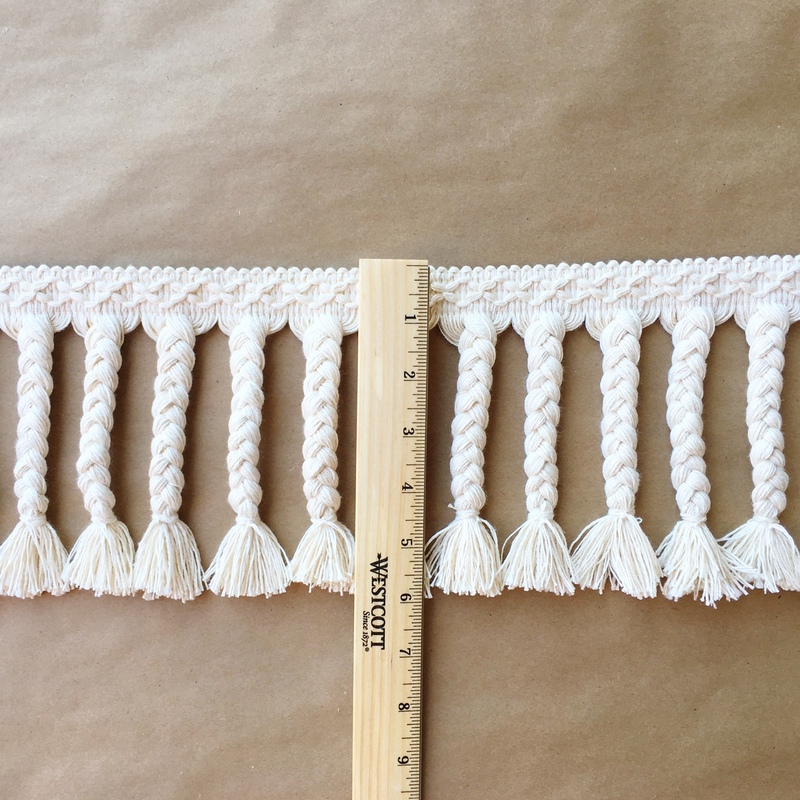 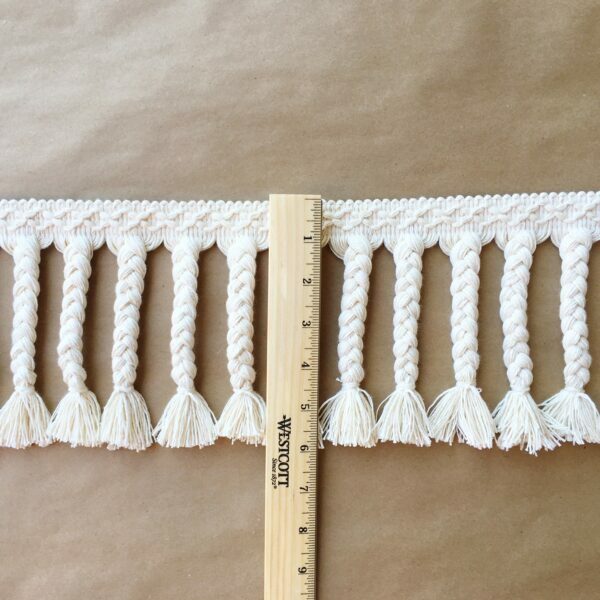 Inspired by the Moroccan hand braided rugs, this fringe is made to be added to an existing rug with no fringe, or fringe that needs to be replaced. 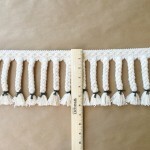 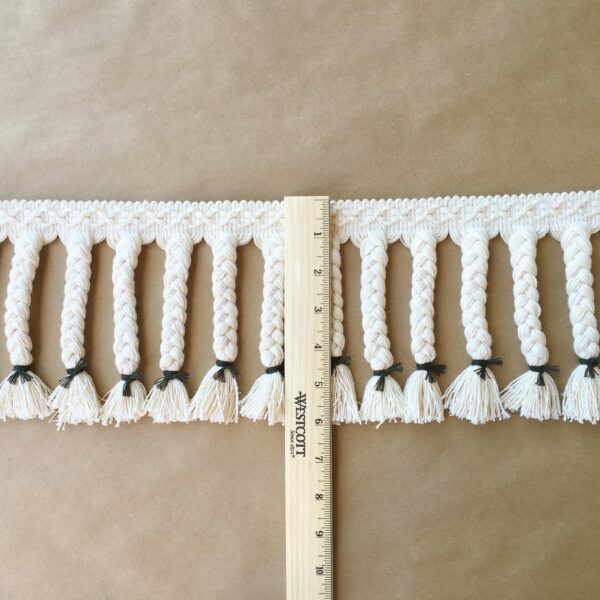 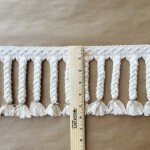 It is also great for various other fringe uses such as on pillows, furniture, draperies, table clothes, etc. 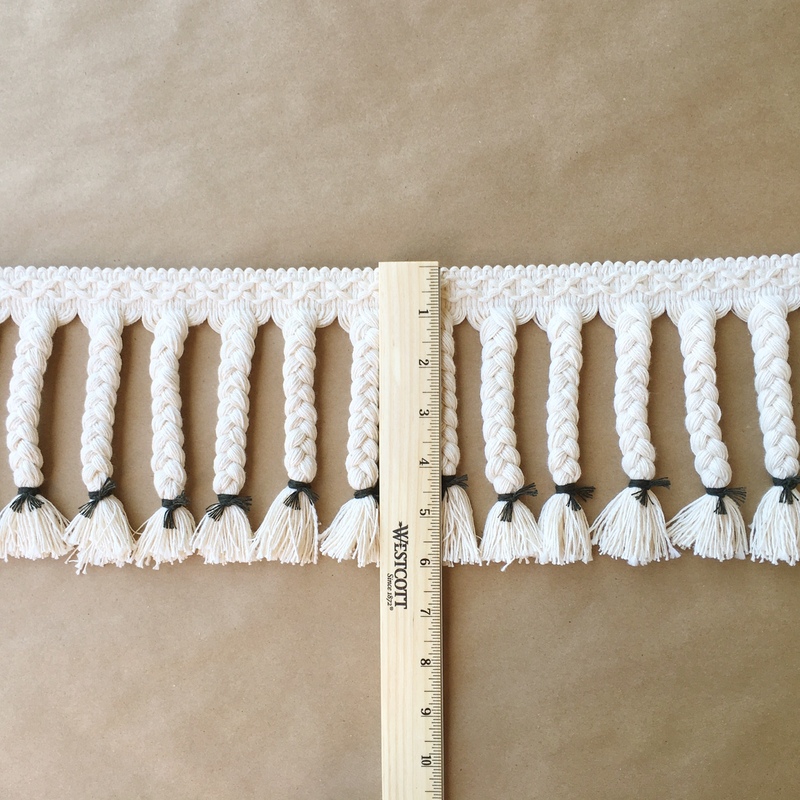 Show us your use by tagging us @fringemarket #fringemarket, we love to see how our fringes are used.